When one vehicle strikes another at a 90-degree angle, it is called a T-bone, broadside or side impact collision. As with any auto accident, T-bone accidents present the danger of serious injuries or wrongful death to everyone involved. 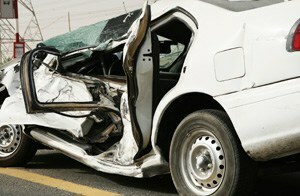 If you have been in a serious t-bone accident, our attorneys can help you. At the law offices of Goldberg Weisman Cairo, we have been helping injured Illinois car accident victims obtain full compensation for more than 30 years and are ready to help fight for the justice that you deserve. For more information about how we can help with your side impact damages lawsuit, call us today at 1-312-464-1234 or reach our team 24/7 via “Live Chat” or our “Free Case Evaluation” form. After a T-bone accident, it can be quite difficult to determine who was really at fault for the accident. We work with an entire team of in-house professional investigators, as well as a network of accident reconstructionists and forensic experts. If there is any way to establish liability, we will find it. From our office in downtown Chicago, we represent clients throughout Illinois in a wide range of personal injury and workers’ compensation matters. We are Illinois’ largest personal injury and workers’ compensation law firm and because of our large size, we have an entire team of attorneys dedicated to auto accident cases. When you bring your case to us, an experienced lawyer from our firm will take immediate action to begin the investigations and case preparations. Do not wait to call. As time goes by, witnesses can become unavailable or their memories more unreliable, evidence can be lost or damaged and it can become increasingly difficult to reconstruct the facts surrounding the accident accurately for the judge and jury.